Diabetes can make you more likely to have eye problems. Your blood sugar (glucose) levels may be high because your body can’t make or use insulin properly. Too much blood sugar can build up and harm your nerves and blood vessels. Damage to the blood vessels in your eyes can lead to vision loss or blindness. Anyone with diabetes is at risk, so it’s important to get yearly eye exams. Diabetes can affect your eyes in different ways. When your blood sugar is high or when you start insulin treatment, you may have blurry vision or other problems. But your eyes can be damaged even if you don’t notice any changes. 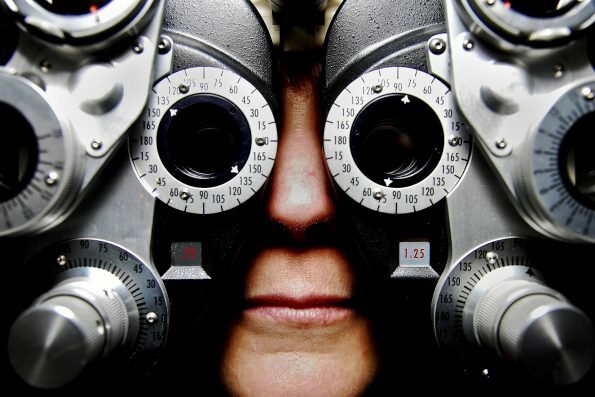 Don’t wait for symptoms to arise to get your vision checked. The retina senses light coming into your eye, and it sends messages to your brain about the things you see. Damage to blood vessels inside the retina from blood sugar buildup is called diabetic retinopathy. You might not notice changes at first, but over time the walls of your blood vessels may leak fluid. When you’ve had diabetes for a while, blood vessels can form scar tissue and pull the retina away from the back of your eye. This can lead to severe vision loss and even blindness. Your doctor can diagnose retinopathy during a thorough eye exam. He’ll use a special dye to find leaking blood vessels. In the early stages, diabetic retinopathy often can be treated with laser surgery called photocoagulation. The laser seals the blood vessels and stops them from leaking and growing. The procedure can’t restore lost vision. Combined with follow-up care, though, it can lower your chances of blindness by as much as 90%. In the late stages of diabetic retinopathy — if the retina has detached or a lot of blood has leaked into your eye — your doctor may suggest vitrectomy. This surgery removes scar tissue, blood, and cloudy fluid from inside the eye. Vitrectomy can improve your vision. Eventually, nearly everyone with diabetes will have some degree of retinopathy. Your chances increase the longer you have the disease. The odds will be higher if you don’t have good control of your blood sugar, blood pressure, and cholesterol. Keep your blood sugar, blood pressure, and cholesterol under control. A major study found that people with diabetes who managed their disease intensely had much lower rates of diabetic retinopathy than those who followed standard treatment. It also helps to stop smoking. And it’s very important to get an annual dilated eye exam to spot early signs of the disease. While anyone over 40 is at increased risk of glaucoma, people with diabetes are 40% more likely to get it. Your chances rise the longer you have diabetes. Glaucoma can cause bright halos or coloured rings around lights, but it usually has no symptoms. Untreated, it can cause an increase in eye pressure that damages the optic nerve, resulting in vision loss and blindness. It can be treated with drops to lower eye pressure, or with laser or conventional surgery. If you have diabetes, you’re 60% more likely to get cataracts — and you’ll probably get them at a younger age than people without diabetes. Poor control of blood sugar can speed up this condition. With a cataract, the lens in your eye becomes cloudy. This blocks light and makes everything look hazy. Cataract surgery, where the eye’s natural lens is replaced with an artificial one, can help vision. Sometimes diabetic retinopathy can get worse after cataract surgery, though. Seek emergency care for any loss of vision or double vision.